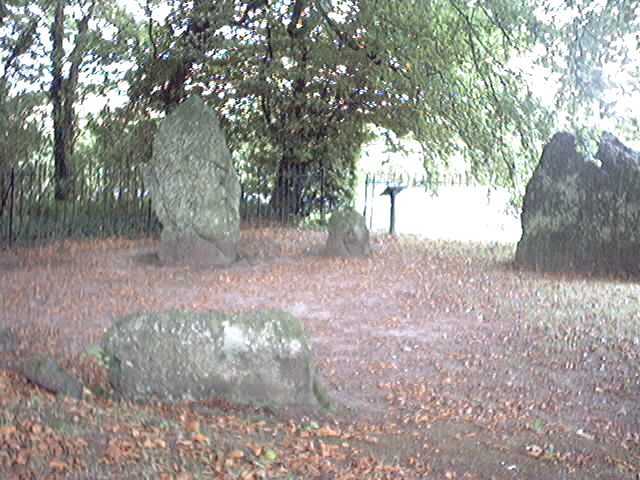 I think the Nine Stones must be the smallest stone circle I've ever see. I'm not kidding, you could blink and miss it! And although it's right beside a main road, it's also quite difficult to find... because it's situated in the edge of a small belt of woodland, and enclosed by a fence of iron railings. There don't seem to be any signposts to help you find it either! 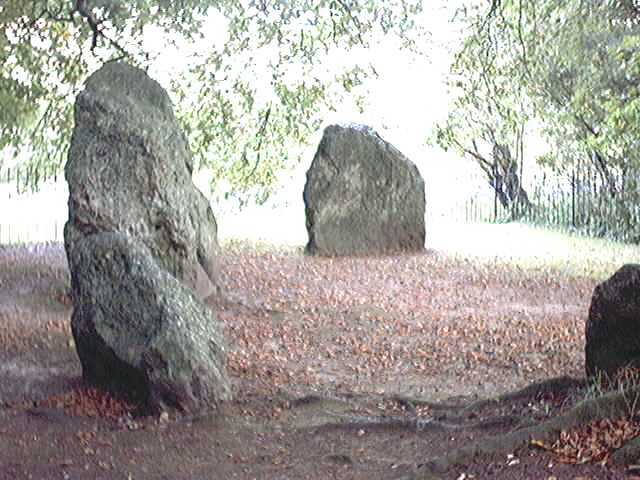 The circle consists of nine sarsen stones, ranging in height from 1 to 7 feet, with a diameter of just 25 feet. 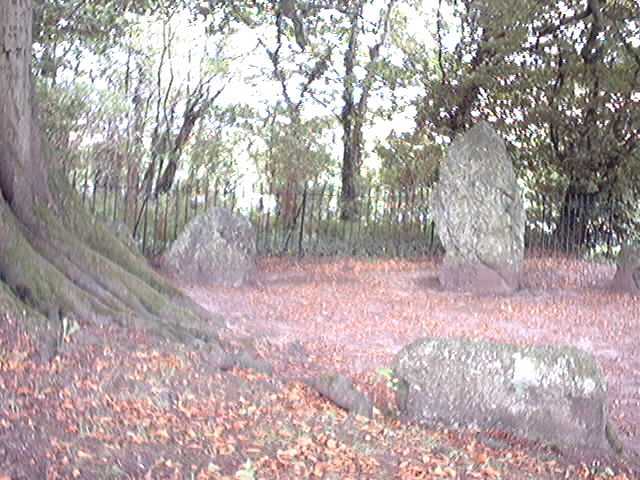 The stones are graded in height, with a small stone at the north flanked by the two largest stones, and the remaining stones reducing in height towards the southern side of the circle. 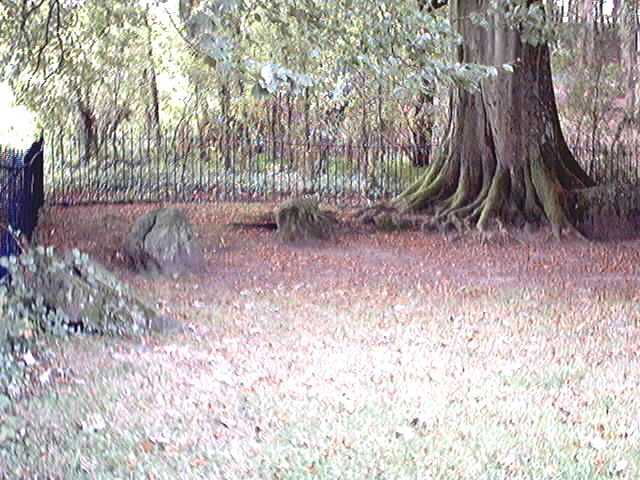 You can't appreciate this layout properly from the photos, as the restricted space and bad light beneath the trees makes photography difficult, but the diagram below should help to make it clear. 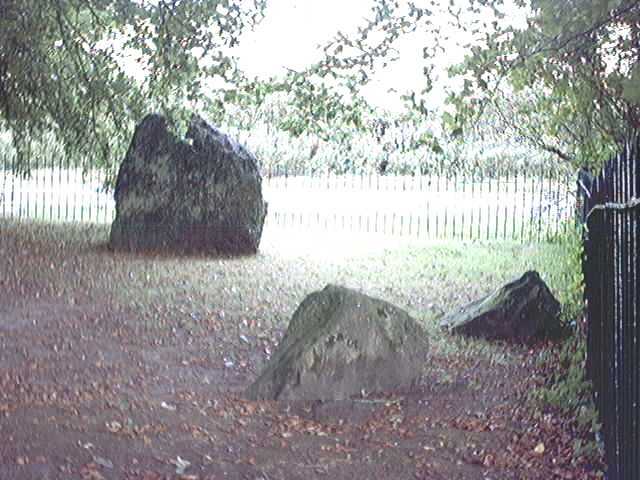 Accounts written in the 19th Century suggest that the large gap on the eastern side of the circle may have been filled by a tenth stone. The site has never been thoroughly investigated, so there's no confirmation of this. 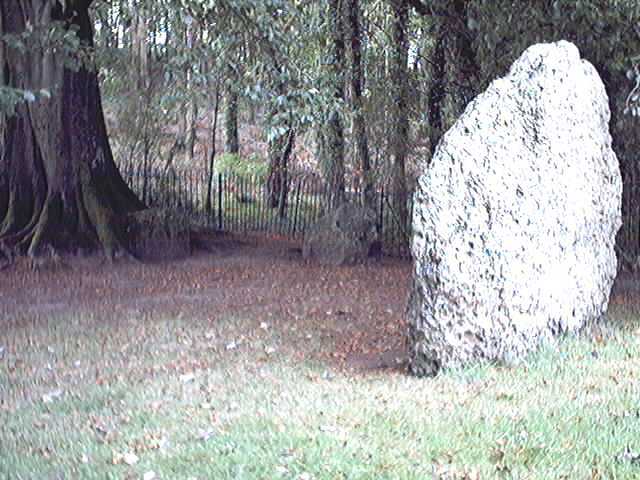 Nor is there any certain date for the circle, but it's assumed to belong to the same era as many other sacred sites in the area, and date from around 2800 - 3000BC. 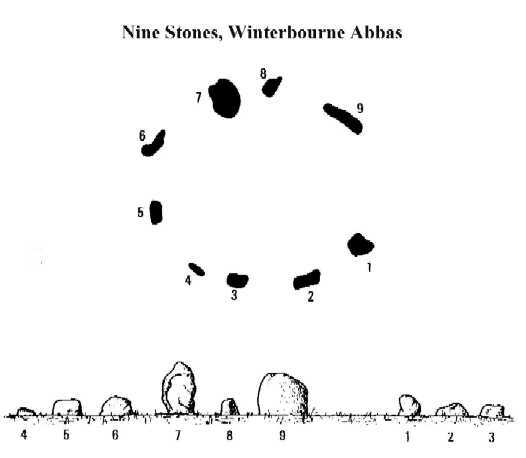 The surrounding area is very rich in prehistoric sites, as a look at the map linked to above will show... there are numerous stones, barrows and tumuli marked, though many of them are barely recognisable because of erosion caused by ploughing.